No matter if it’s dark circles after a restless night, puffiness after a few drinks or wrinkles after decades of laughter, the skin around your eye is usually the first to show signs of aging. Since the skin around your eye is 10 times thinner and more fragile than the skin on the other parts of your face, it is important to show it as much love as you would a brand new car as you drive it off the lot. The time has finally arrived! 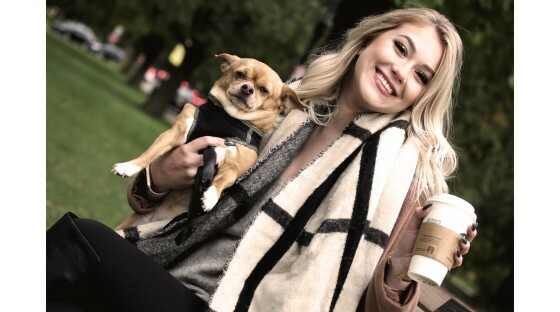 Everyone’s favorite season, Fall – where we can spend some nights in the comforts of our couches, throw on a pullover hoodie and sweatpants to hide the extra pounds we’re all about to gain from all of the pumpkin spice lattes and holiday treats that we unabashedly bask in without any shame or regrets whatsoever. Everything will be hues of orange and auburn and we will be wearing layers of patterns and strutting the red and yellow leaf covered sidewalks as if it were a runway in Milan during Fashion Week. Such a versatile season, not warm but also not cold enough to hide indoors completely. As basic as this all may sound, it’s far from it – especially when it comes to your skin. It takes a strong man to know the importance of skincare. When I opened renew bath + body in May of 2014, I honestly thought I was the only man in the world that had a passion for skincare products. I’ve always felt euphoria when I escape in to the ginger + lime scent of my moisturizing wash. After a long day, there is nothing better than a relaxing evening skin care routine, while I listen to soothing music and meditate on good thoughts. After opening renew, I quickly realized I am not alone. 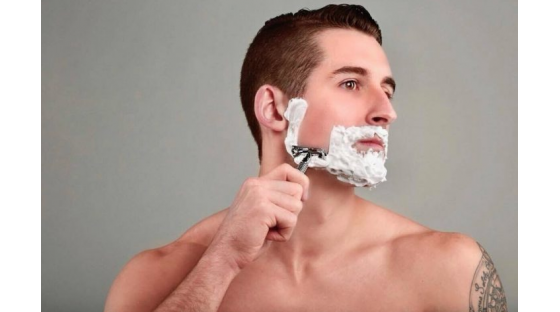 Men love their skin and are just as passionate about shaving, hair, and moisturizing products. After four years in business, I can tell you that men love bath + body products just as much as women. They just may not tell you about it. 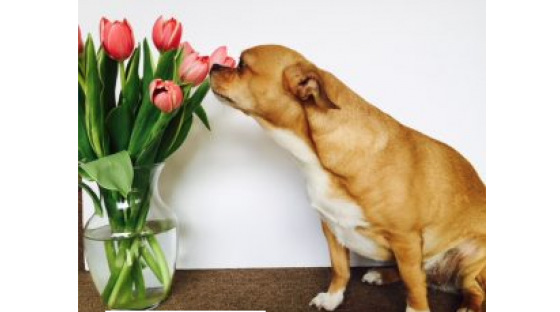 The State of California Issues Ban on Animal Testing by 2020. Will New York be next? Tom Akers was one of the first when he opened Renew Bath and Body on Elmwood Avenue in 2014. 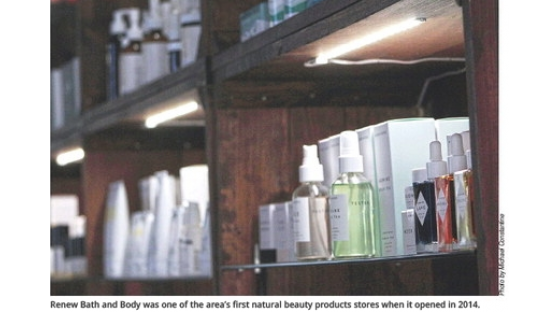 He believes natural beauty products have evolved and are “just as good, if not better” than synthetic products. His interest was originally piqued when his best friend was diagnosed with cancer, and her doctor said it might be linked to the aluminums in her deodorant. At that point, 20-plus years ago, he said he had no idea that what he put on his body could affect his health. 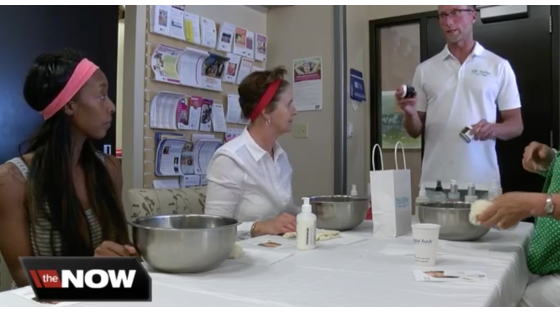 renew is making female patients at Roswell Park feel better. Buffalo, N.Y. (WKBW) - Four years ago, Sally Hutton of Williamsville was told she had breast cancer. After surgery and radiation, she is now cancer free--walking through the halls of Roswell today only for check-ups. After the long, grey, cold winter every morning I walk out the door, lift my face to the sky and give thanks for how amazing the sun feels on my skin…it lifts my spirit and mindset. Medical science has proven that limited exposure to the sun can boost your levels of Vitamin D, and there is significant documentation that Vitamin D is linked to increased protection against diseases like osteoporosis, heart disease, and certain cancers such as breast, prostate and colon. Sunlight has other hidden benefits like protecting against depression, insomnia and an overactive immune system. It’s no secret that flowers, herbs, and plants have been used in medicine for centuries, however, our modern science is just now starting to unlock all of these wonderful plant qualities. When looking for effective clean skincare, it’s no surprise that many individuals and companies are turning back to nature. 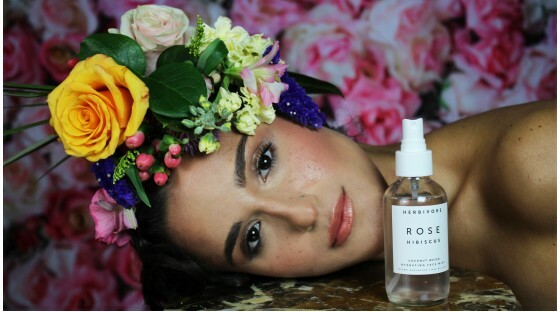 There are a number of botanical lines that use the power of flowers to correct and sooth skin issues, like Herbivore Botanical, Josh Rosebrook, and suki who use ingredients like Blue Tansy, Calendula, Rose and Jasmine to aid in reducing red skin issues (rosacea), control blemish break outs, battle pre-mature aging by calming, hydrating and soothing dry skin issues like eczema.